European Waterways will launch the Panache, a 12-passenger, luxury barge, in April. The Dutch vessel will sail through Holland in itineraries that include tulip cruises and optional excursions to the Floriade 2012 flower show, a horticultural expo in Venlo, Netherlands, which takes place only once every 10 years. The Panache will feature an interior with mahogany and brass finishes. Accommodations and amenities will include six air-conditioned rooms, a saloon with panoramic views, an open bar, and a sun deck with a heated spa pool. The vessel will embark on six-night Tulip cruises, exploring Holland’s countryside, roundtrip from Haarlem. During flower season, the itinerary will include a trip to the Aalsmeer flower auction and a walk through Keukenhof Gardens, with more than 7 million flowers. The Panache Holland cruises also include a trip to the city of Delft to see its porcelain pottery and to Gouda, the center of Dutch cheese. In June, the Panache will be repositioned to cruise the Alsace-Lorraine region of France. 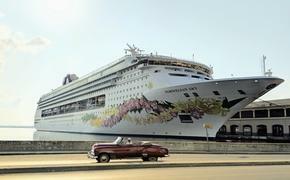 Cruise fares start at $4,690 per person, double. European Waterways is offering 10 percent off of all cabin and whole-boat charter rates for April, based on double occupancy. To book a European Waterways cruise, call 877-879-8808.